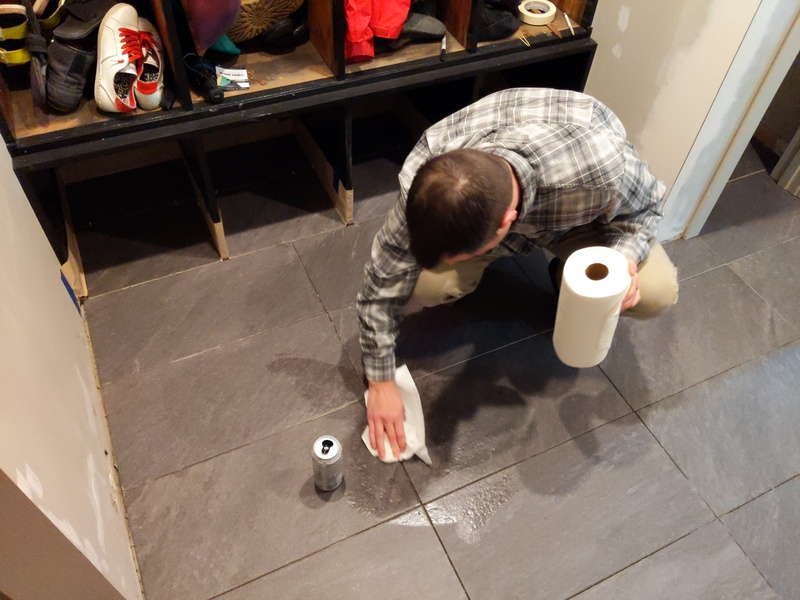 Jeff checks out my freshly laid tile. Immediately spills his soda on it. This photo was taken 3 months ago with a Google Pixel 3.